These sterling silver endless hoop earrings are anything but captivating. 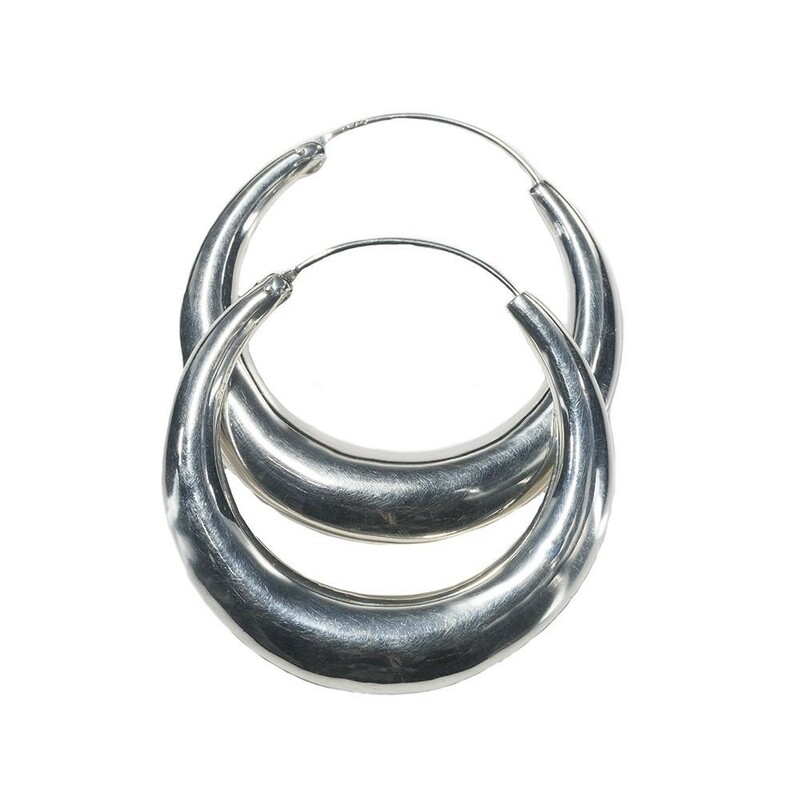 The hoops broaden in the middle, giving a more sophisticated shape to a classic style. The slender posts tuck into the hollow earrings, creating endless hoops that have an elegant l... Read more. These sterling silver endless hoop earrings are anything but captivating. The hoops broaden in the middle, giving a more sophisticated shape to a classic style. The slender posts tuck into the hollow earrings, creating endless hoops that have an elegant look and bringing a touch of polished sophistication to any outfit. Handcrafted beautifully by an artisan from Bali.